I hadn’t really thought too much about this book when it came out. But then I commented on a post that I didn’t realize was a giveaway, and ended up winning the book. As soon as it arrived I started reading it, and boy am I glad I did. I enjoyed this very much. It’s one of those books that I’d kick myself for not planning on reading it. I could’ve missed out. MS is hard to live with. I don’t know anyone personally who has it, but I know people who do know something with MS, and it’s definitely not a cake walk. So I can’t even begin to imagine every nuance of emotion running through this family, particularly Payton. I only have what the author gives us, which seems like a very real representation of what someone of her age would be going through. I love how Payton chooses to deal with it, by journaling about Sean’s head. Some of my favorite parts of the book were reading the journal entries, where Payton clearly has her own voice. She seems so real. Because of her journal, she ends up becoming friends with Sean, and when he finds out what’s going on he handles it perfectly. This is one put-together guy. 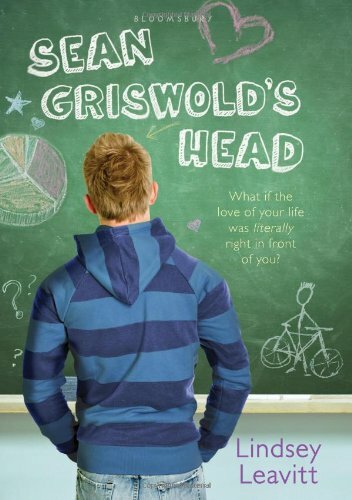 I have to say of all the books I’ve read so far in 2011, he’s definitely in the top 5 favorite male leads list. The family dynamic awesome as well. Despite how angry, hurt, and confused Payton was, there were no doubts that she loved her family, and that they loved her. They were only trying to protect her for as long as they could. And that area is really kind of a shady area anyways. You should always try to tell the truth with your family, but you don’t want to hurt anyone whenever possible. It’s a fine line to walk. Lindsey Leavitt has an incredibly humorous writing style, that can be serious when it needs to but still keep things light and funny when seriousness is not called for. It definitely made for a fun and fast read. I’ll most definitely be checking out any other books by her. I would definitely recommend this for people who enjoy unique and humorous voices in their YA books. I’m surprised no one has commented on this book. I thought it had the big 3’s: sweet, real, and funny. I really enjoyed Payton obsession over his head and then later her obsession with Sean. I liked how she dealt with her grief and how Sean helped pull her through. I think it’s one of the better MG books.